Yes - absolutely, we are available for travel throughout the year and travel extensively to document weddings and preweddings around the world. Just let us know what you have in mind and we'll sit down and plan out an adventure together! Yes - we use full frame cameras and pro-grade lenses and lighting equipment. We make sure we have backups of our backups and bring at least 4 cameras to every wedding, as well as multiple lenses to make sure we are ready for anything! Yes - we have a team of 6 so we are all ready to cover each other if needed. Not to worry! Yes - all the best images are edited and returned to you in JPEG format both in an online gallery and on your flash drive alongside your keepsake box! Yes - during our consultation with you to review your schedule, we'll go review everything thoroughly and try to anticipate any additional hours you may have planned for and make sure we are available to cover your event in its entirety. Our preweddings are very activity-based and our couples have always told us how much fun they have during our shoots! We love to bring out natural candid moments and make sure everyone is having a good time and enjoying every moment with us. 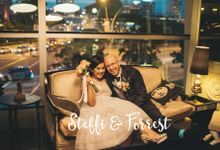 Our weddings on the other hand are very photojournalistic in nature - we'll sit back and document the moments as they happen, and let the story of the day unfold. But not to worry - we'll have an initial consultation with you where we'll go through your photoshoot and make sure you're all prepped and good to go, and know exactly what to expect so that all goes well on your shoot day! We have set rates as per our pricing sheet, but are happy to customise packages according to your needs. We aim to have all your photos and videos ready for you within 1 month after your shoot! 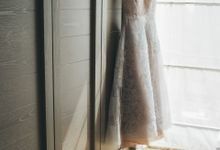 We've had clients contact us within such a wide range from their wedding date, ranging from 1.5 years prior to their big day, all the way up to the week before. So it all depends on our availability if we are able to cover your wedding day! We are very relationship-based and love to get to know our couples, and be there for them on their wedding day as a friend. 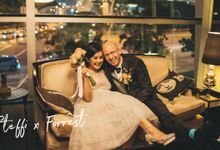 We feel that one of the most important things on your wedding day is to be comfortable with your photographer, so that you can enjoy the experience of the day. We love to keep our shoots light-hearted and fun, and everyone we've shot with since 2013 has loved being around us! We just love to shoot weddings, and it shows in our work and the way our clients trust us to document their day. Yes - we would need a 4-hour window for this. Yes - we provide raw clips of the speech segments only. We have 2 videographers at every wedding. We are Darren and Jade Photography, a fun-loving photography and videography team! We've been shooting weddings since 2013 and treat every wedding as if it was our own. We've won 11 awards through Wedding & Photographers International (WPPI), as well as the Best Shoot Ever prewedding photography competition and have been featured in Singapore Brides and The Wedding Scoop. We feel truly blessed to be able to work with the couples that we do. And never forget that we are here because of them.